The world saw Britney Spears go from Mickey Mouse Club to platinum recording artist to one of the most successful Las Vegas residencies. The world saw Matthew Broderick go from Ferris Bueller’s Day Off to The Lion King to How to Succeed in Business Without Really Trying. 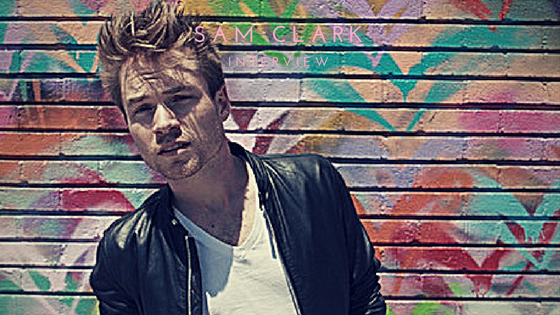 Currently, the world is seeing Sam Clark go from Australian soap opera to American television to worldwide recording artist. Grease: Live, broadcasted from Warner Bros. Studios, was watched by over 12 million viewers and won multiple Primetime Emmys. Clark’s character, Leo “Craterface” Balmudo, was his U.S. television debut in 2016. Despite nailing his character on the live broadcast, Clark originally thought that he’d blown his audition entirely. “I messed up some of the words in the song I chose to sing and casting thought I was [auditioning] for a different character so I had to stop the audition one line in,” he said. After clearing up the confusion, the rest of his audition went by in a blur. A little more than a month later, Clark’s agent called with good news: he got the part. Prior to Grease: Live, Clark rose to fame in Australia with the television show Neighbours. For over 850 episodes, his character Ringo Brown dealt with an eating disorder, a bus crash and an illegal dance party – in typical soap opera fashion. The concept of a triple threat can open many doors and turn many heads. For Sam Clark, an obvious pop hit with a mix of a live-action remake of one of the greatest movie musicals has jumpstarted his career in the right direction.